One of the most common reasons for remortgaging your home is to clear off other debts and reduce your outgoings. A remortgage is usually the cheapest way to borrow and this means people can also save a lot of money on interest paid as well as reducing their monthly outgoings. Here’s a look at whether remortgaging your home to pay off your debts is right for you. To start with, you need to have some equity in your home in order to remortgage. The current maximum LTV for a loan is 90% so if your property is worth £100K, the most you could borrow would be £90K. If your current mortgage is worth £85K, then you could only borrow £5K. However, if your mortgage was only for £50K, then you could borrow up to £40K more. This makes for a total debt of £139,300 and a monthly payment of £1157. If you took a consolidated mortgaged at the same rate and terms as your original mortgage, you could have a monthly payment of £795 saving £362 a month. As well as the monthly savings, you can also look at the difference in the interest rates and how much this would save you over the duration of the loan or credit. An example interest rate of 4% is much lower than any of the other debt and there are often mortgages with lower rates than this, depending on your details. You could also look at changing the length of the mortgage. This changes the monthly payment but cuts back on the time it would take to clear the debt. If you were management that original payment amount of £1157, you would potentially be able to have a mortgage for £139,300 at a 4% interest rate for £1031 a month over 15 years. 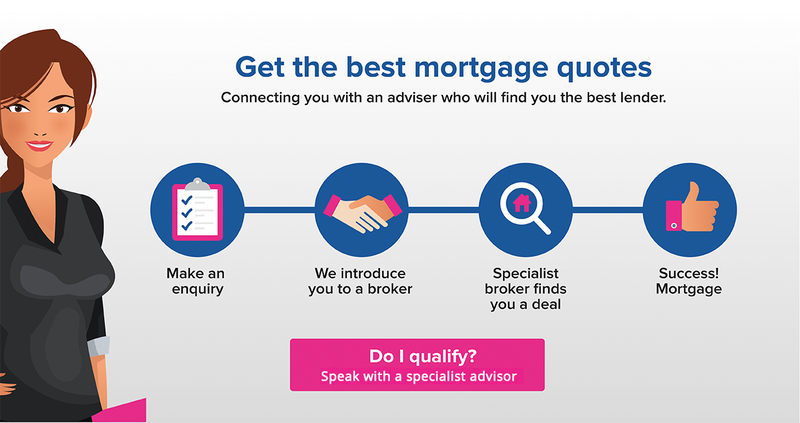 As with any type of mortgage, there are qualifying factors used to decide if a lender will give you the remortgage. They will look at a credit assessment which can involve a credit score and search as well as an affordability assessment. This shows you are able to afford the new monthly payment. Lenders will use these factors to decide on the interest rate and if they are willing to accept you. Most mortgage companies will consider 4-5 times your annual income when seeing what they will lend you. A remortgage isn’t the only way to access money to debt consolidate. There are two other options to consider. The first is a secured loan. These are secured against your property like a mortgage but tend to have a higher interest rate, anywhere from 7-30%. You can take them over a term similar to a mortgage. The other is an unsecured loan with interest anywhere from 6-50% and usually limited to periods of around 7 years. So if you consolidate this way, the new monthly payments could end up being much higher than before you consolidated.